Thirsty? 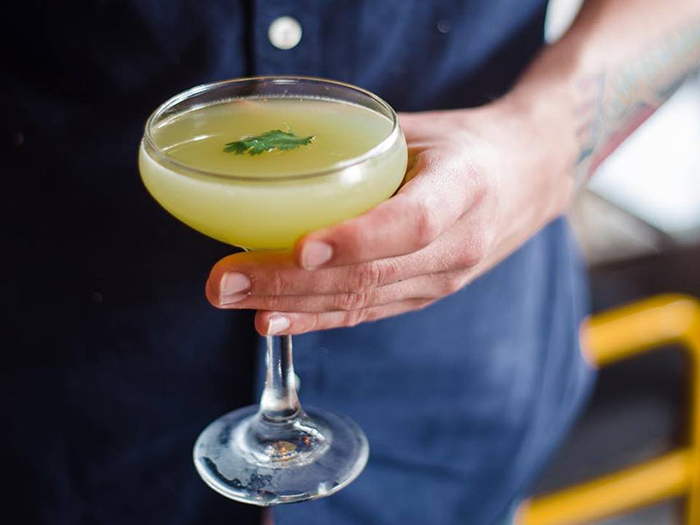 Here are the 26 best cocktails in Charlotte, right now. 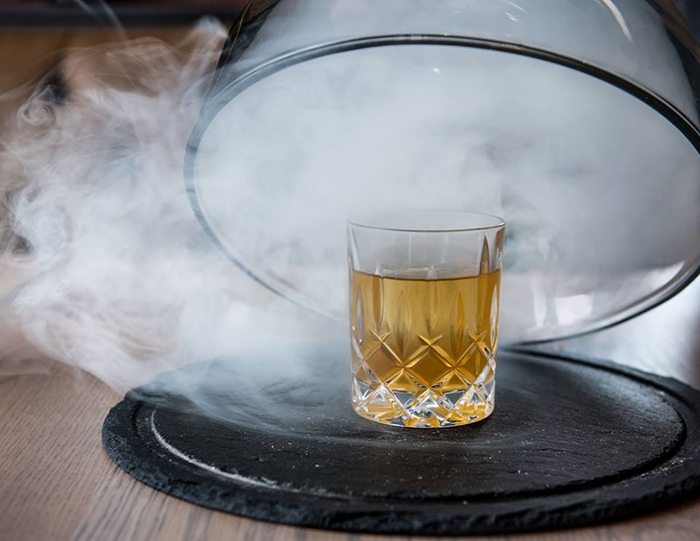 These top cocktails and cocktail bars were compiled using Agenda reader data, reviews and comments from cocktail bar owners. The list below is in no particular order. 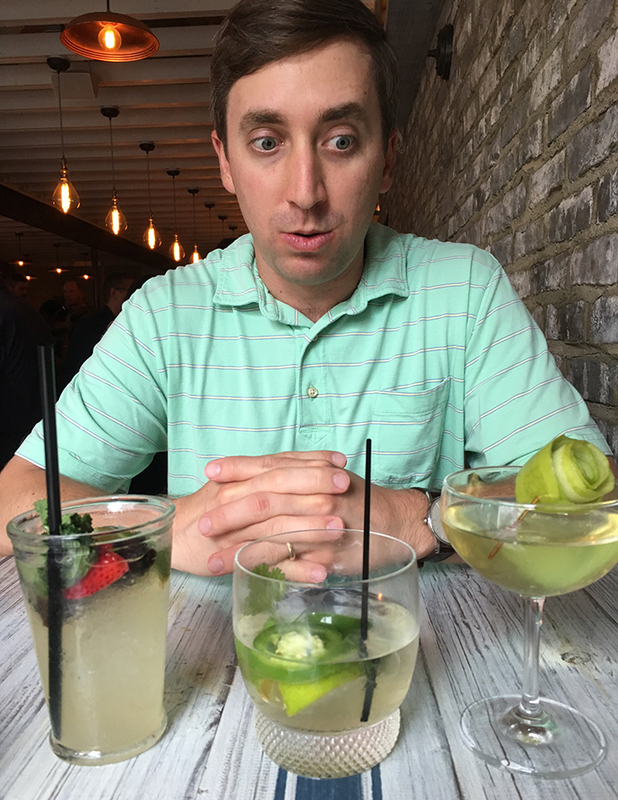 Sampling tequila cocktails at Haberdish. So tasty. Gorgeous, upbeat atmosphere perfect for starting or ending a big night out in Uptown. Cozy Irish bar in Plaza Midwood with rich, dark decor. Jameson’s Irish whiskey, vanilla bean, ginger root cane syrup, fresh orange juice ($10). If you just need the hard stuff, Workman’s Friend has 24 Irish whiskeys for you to choose from. Charlotte’s favorite bar located in Myers Park and perfect for just about any occasion. 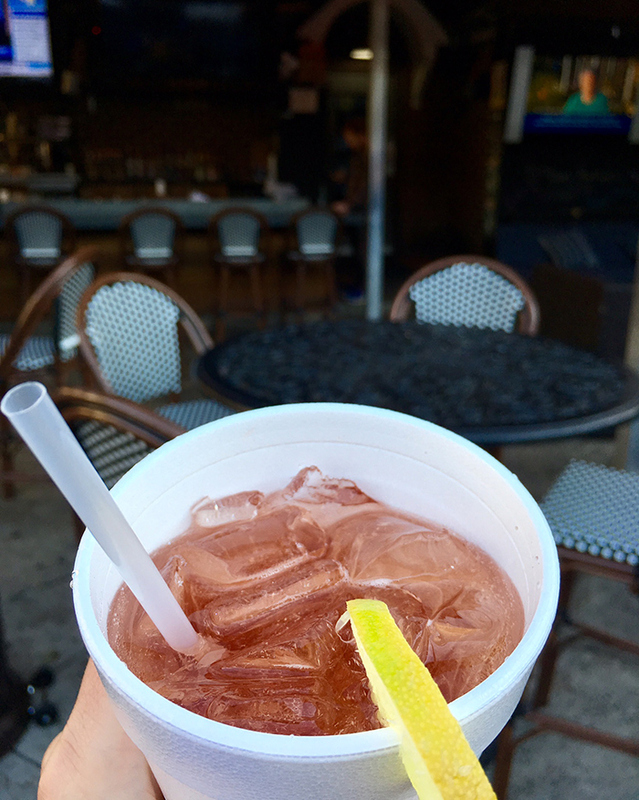 A golf club favorite made with vodka, ginger ale and grapefruit juice. Also, how can you not love that this is one of Charlotte’s favorite cocktails? Of course it is. Speakeasy found in Park Road Shopping Center’s Backlot. 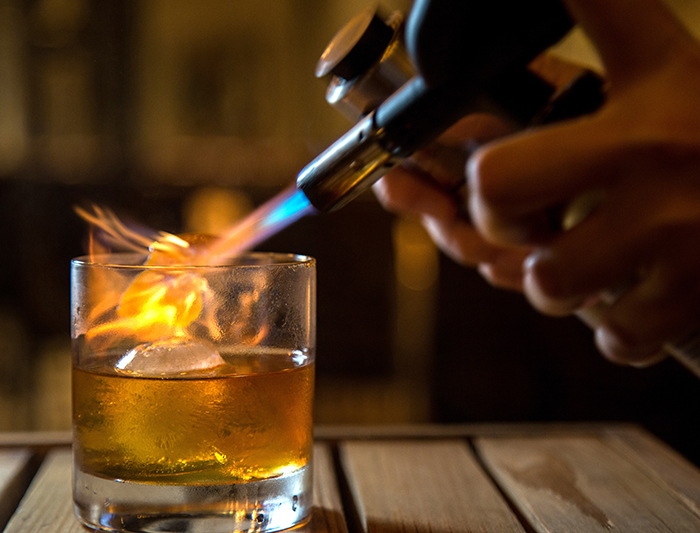 Top 20 restaurant in Charlotte with an intimate bar. DJ comes on in this Plaza Midwood hotspot around 9 p.m.
Good date night spot in the heart of Dilworth. Get ready to party at Uptown’s Ink N Ivy, it’s slammed and rocking during peak hours. Dilworth restaurant with a beautiful patio and open kitchen. Welcome addition to the Uptown craft cocktail scene. Restaurant with a gorgeous bar located in the recently renovated Uptown Marriott. Fancy white tablecloth restaurant in SouthPark with a welcoming bar known for high quality cocktails. Unique experience on the 15th floor of the Ritz in Uptown. 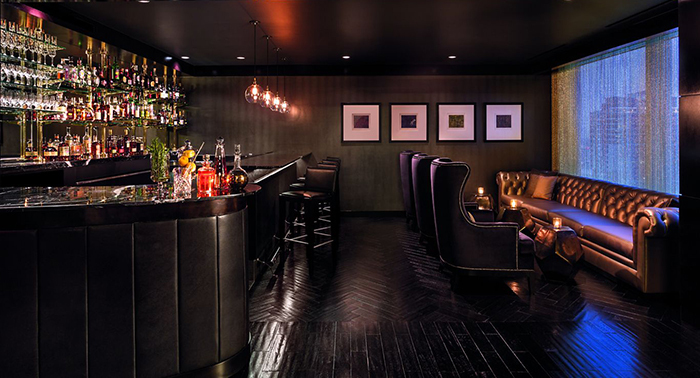 Inside The Punch Room, located on the 15th floor at the Ritz in Uptown. 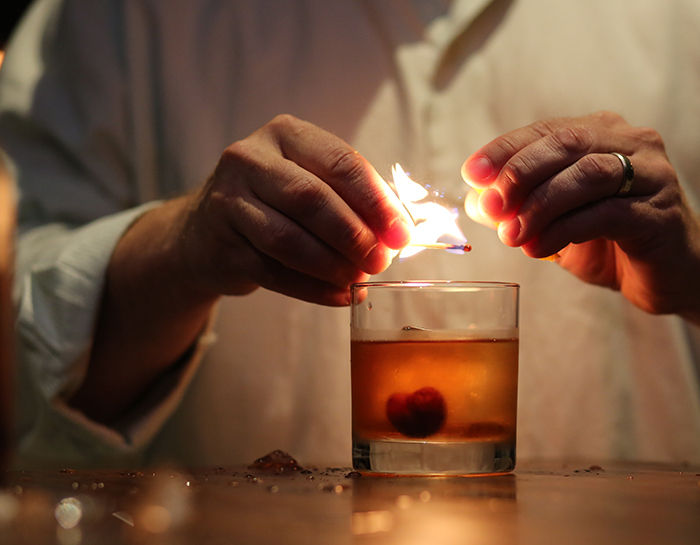 Other than being an all-around good guy, Bob Peters is the most famous bartender around town. Understated Uptown rooftop bar with serious cocktails. 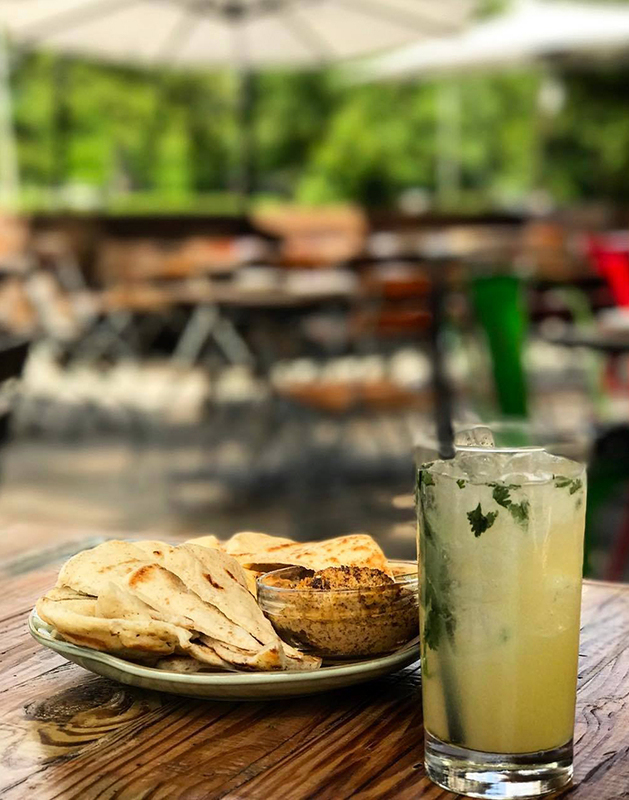 Grab a rocking chair and sit outside at this cool Dilworth restaurant and bar that’s emerged as a serious contender for best cocktails in the city. A mainstay top-5 restaurant in Charlotte that never gets full credit for their cocktails because their small plates are so damn tasty. Perfect casual date spot in Dilworth with a young vibe. Located in NoDa, this Southern restaurant and bar is the hottest new concept in the city. Classy distillery and bar in LoSo. Speakeasy vibes underneath Duckworth’s in Uptown. 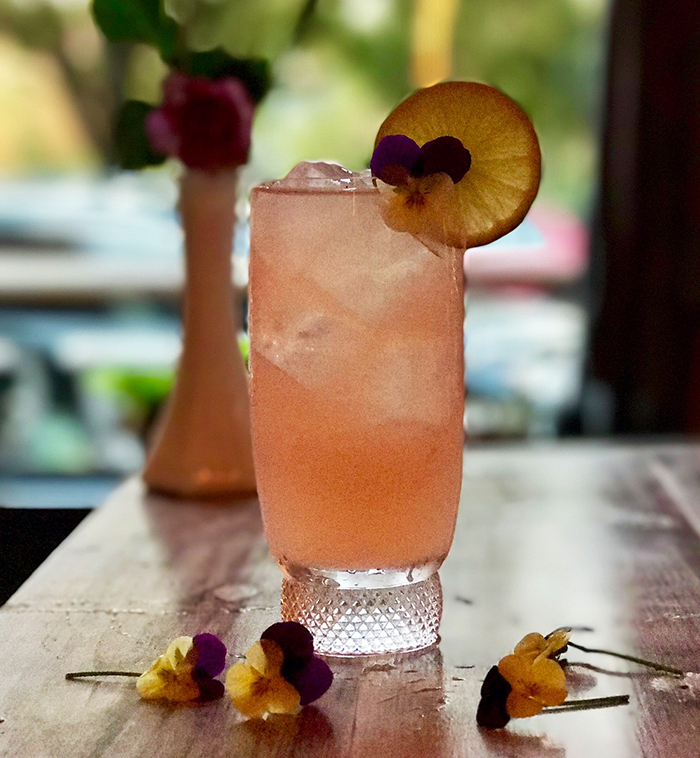 The most popular cocktail for ladies is The Cellar’s The French Buck – a twist on the classic French 75 (Gin, Prosecco, lemon) with fresh ginger added. ($14). A retro vibe with lake views from the minds behind Kindred. Vodka, smashed pineapple, falernum, agave, key lime and lime La Croix ($10). 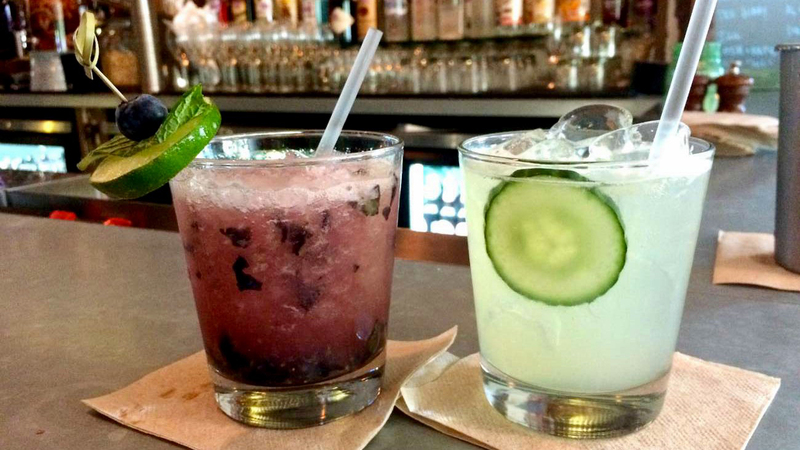 The newest venture from Bottle Cap Group features a quirky cocktail menu perfect for South End. 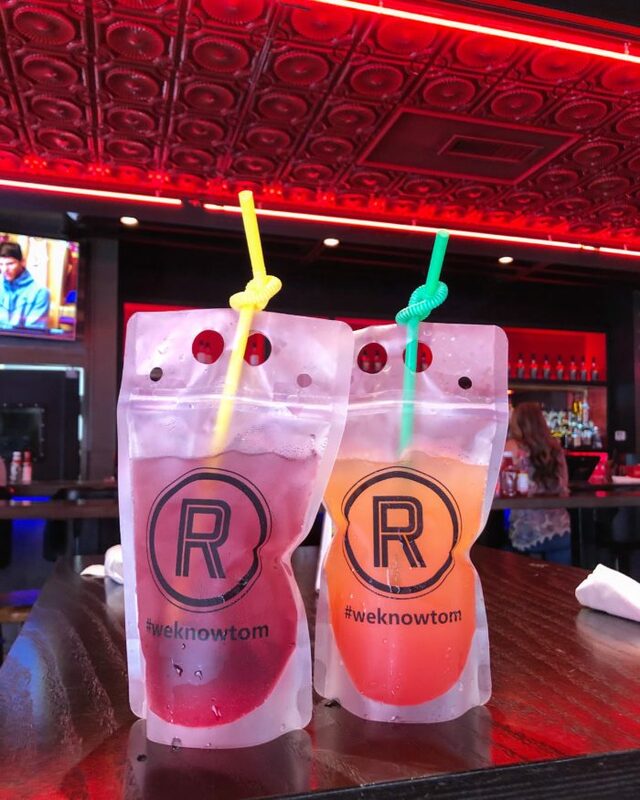 An adult-style Capri Sun in a plastic sippy pouch ($6). Peach Ring (Bird Dog Peach Whiskey, orange juice, sour mix and grenadine) and Transfusion (vodka, grape juice and sprite) flavors available. Trendy new Tex-Mex spot in South End’s Design Center. El Jimador Blanco, pineapple, lime and cilantro, served up ($10). Coffee shop, restaurant, brewery and fermentation lab – all under one roof, situated on the Rail Trail. Reposado tequila, ruby red grapefruit, rosemary and lime ($9). Gorgeous rooftop bar situated atop the Kimpton Tryon Park Hotel with views of the skyline and Romare Bearden Park. Henry McKenna Single Barrel, Trinity Bitters and Orange Bitters ($13). 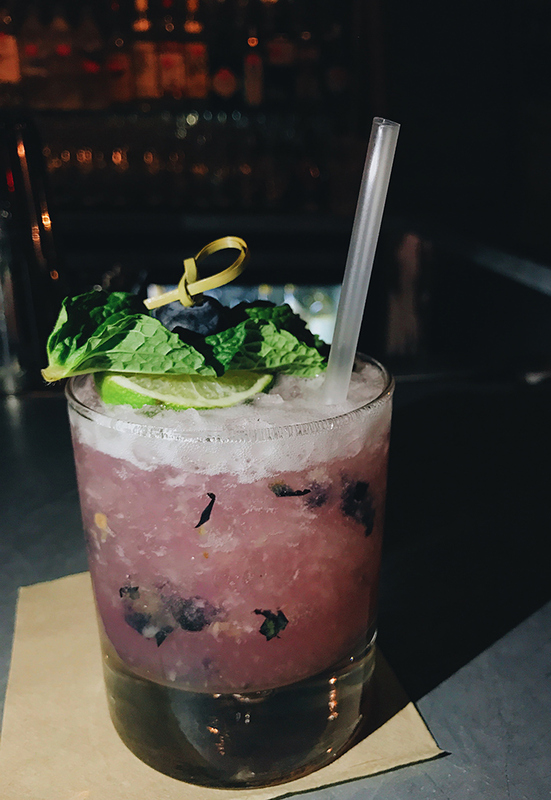 South End’s only true cocktail bar, with nods to history scattered throughout. Waygu fat washed bourbon, slow ginger syrup, buckspice bitters, king cube, candied ginger, cold smoked ($16). Farm-driven menu from James Beard Award Semifinalist chef Paul Verica, the mind behind the now-shuttered Heritage. Sutler’s Gin, peach, basil, rosemary and lemon ($13).